Using Rhythm Swing in practice mode lets you master new and increasingly difficult types of rhythms at your own pace. Simply tap along to the on-screen rhythms and receive immediate feedback as to how you are doing. 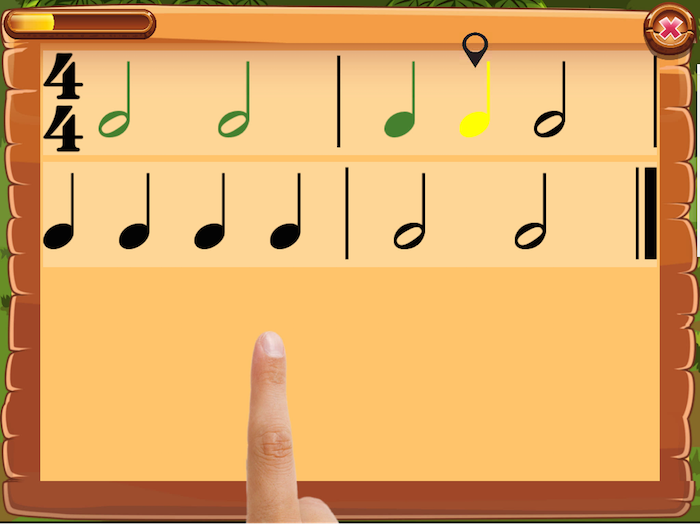 Notes are highlighted in green as you play them correctly. Notes turn red if you play them too early or too late, don’t hold them long enough, or miss them altogether. Question marks appear by each mistake. Tapping on a question mark reveals why your performance was not quite right.